Filip Míšek and Ema Brabcová have worked together for as many as twenty years already. They met each other back in 1999 in the group Roe-Deer, as part of which they created their own project called Khoiba. 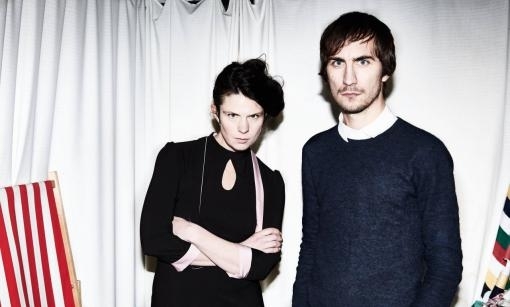 Under this name they released their albums Nice Traps (2004) and Mellow Drama (2007), shone on the domestic scene and drew attention to themselves in neighbouring Germany, but then each of the protagonists set out on their own paths – Filip came up with the solo project Dikolson and Ema was active first in the group Luno and later became part of The Antagonists under the leadership of Jan P. Muchow. Only in January 2019 did the resurrected Khoiba draw attention to itself – first with the single Log and two months later with the album Khoiba. 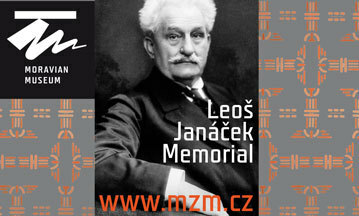 As part of an intensive spring concert the duo is also coming to perform in Brno. The concert will take place in Kabinet múz on 24 April and supporting Khoiba will be Jan Boroš with Čáry života [Life Lines], this year’s winner of the Apollo award. Khoiba is returning after a long period of absence. What kind of music did you listen to in that period? And would you agree with each other on your current musical preferences? Ema: I think each of us likes something slightly different. But we would probably agree on many things. Since I had my children I don’t listen to that much. But when I do play something it is often classical. Specifically I like Shostakovich and Prokofiev. And I also have a liking for certain pop voices, such as Rihanna, Justin Bieber and the Ukrainian singer Oleksandra Zaritska. Filip: I can choose at random several interpreters who I have on my player or in my memory: BEAK>, Connan Mockasin, Death Grips, Micachu, Black Midi, the film music of Jonny Greenwood, Arca, Deerhoof, Krysztof Penderecki and Devendra Banhart. What was the main reason for putting Khoiba together once more? Ema: I think that we both missed Khoiba. Simply musically we understand each other. Was there an effort to follow on directly from the older work or from your perspective are we talking of a completely new chapter? Ema: For me there hasn’t been an effort to follow on. I feel that there is a link but it happens naturally. In some things we have opened a new chapter. For example in that we play as a duo. Filip: We will play some of the old songs in concerts, so that is perhaps the only connection to the past. You credit the authorship of the new works as collective: “All music written by Khoiba.” So how was the current repertoire put together? And was the creative process different than on your older albums? Ema: I think that at its core the creative process is not very different. We do it much like we did before. Filip: As Ema says it is much like before. We come up with idea which we then work on both together and separately. I then work on the completion phase of the whole album, dealing with arrangements, production and mixing. Did everything you have written for the renewed Khoiba get onto the disc or did you select from a greater volume of material? Matouš Godík did the mastering and took part in mixing the recording. Why him? Filip: Mainly because he is clever. I think we have a fair bit in common with Matouš in terms of musical taste or aesthetics. It was pleasant to work with him. In the press release which came out for your disc you it is written that the recording is “brutal and gentle, exciting and calming” Does this reflect your state of mind at the time the album was being created? Ema: Yes, it certainly reflects the state of mind. How should the lyrics of your songs affect the listener? Ema: Of course it is down to the listeners, how they see it. You never know and can never predict that. How did you choose the label under which the album is being released? And you did not consider bringing it out at your own expense, as more and more groups are doing? Ema: We did not consider doing it ourselves. Filip has had good experience with Dan Dudárec of Minority Records from the discs for his Dikolson project. Filip: Dan and his label Minority Records is nowadays quite a rare phenomenon. He is someone who has a clear vision and doesn’t hesitate to invest great effort to get a good overall result. Where do you see Khoiba as being stronger – in studio work or concerts? Ema: We will see! We haven’t played that much yet. You are both involved in film music – Ema as a singer in Jan Muchow’s group The Antagonists and Filip as a composer. Do you have your own favourite film music? Ema: I am not fully a connoisseur of film music. But from childhood I was somehow taken with the soundtrack to Dracula by Wojciech Kilar and I have had a lifelong love of the music to all of Lynch’s films. Filip: I can mention for example the music to the last Kubrick film Eyes Wide Shut by Jocelyn Pook. As part of the spring tour you will be coming on 24 April also to Brno’s Kabinet múz. What can fans look forward to? Filip: Mainly they can look forward to the songs from our new album and also that they will go away with an overall positive feel from the concert and perhaps also a vinyl disc. How will you summer season look? At which festival will we be able to see Khoiba? Ema: We will be playing at Metronome Festival, Fingers Up, in Boskovice, at Colours of Ostrava and Beseda u bigbítu.